Suggested Usage: As a dietary supplement, take 2 capules 1 to 2 times daily wtih meals or on an empty stomach. 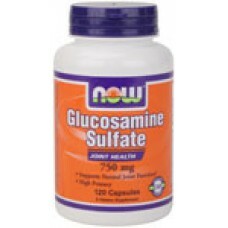 Glucosamin is an amino sugar derived from the chitin of shellfish. It is utilized by the body to support healthy joint structures.